It was a great start for a journey into the maps and places of the 5 countries: Finland, Sweden, Norway, Denmark and Estonia. The kickoff event had gathered representatives from all of the countries. The support from the Nordic Culture Fund shows the willingness that there is to make cultural heritage widely digitally available in the participatory Commons. The Finnish Institute in London also showed continuing interest in activities of open culture, following the participation in the Open Knowledge Festival in Helsinki in 2012. Laurence Penney shows a strip-map treasure, the Tabula Peutingeriana, before and after MapWarper. Tim Waters (UK), the creator of the MapWarper for New York Public Library, showed the many projects which the MapWarper has made possible. From rectifying maps for disaster relief mapping to making possible to trace the contours of New York buildings. The Wikimaps Warper has already been set up to work with the maps in Wikimedia Commons, and work will continue with more integration and interface design. 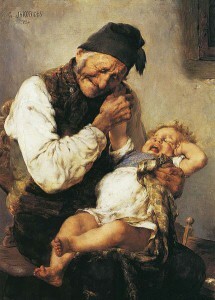 Old GLAMs meeting young Wikimedia. Which one is which? Hay Kranen (NL) reported about his experiences and thoughts as the first Dutch wikimedian-in-residence, working in the KB Library and National Archives in the Netherlands. He cited a research that showed that the most used information source is Wikipedia for 52% of the Dutch population, but the books and libraries are primary to only 1%! It makes sense to try to make available the riches of the libraries and archives in the world’s most visited encyclopedia. Nordic wikimedians (Jan Ainali and André Costa from Sweden, Jon Harald Søby from Norway, Henrik Sørensen and Michael Andersen from Denmark and Vahur Puik and Raul Veede from Estonia) reported the work we have been preparing with the GLAMs in the partnering countries. We are expecting both volunteer projects and activities with many GLAM institutions. Istvan Kecskemeti from the National Archives of Finland outlined how the treasures of the archive are unreachable without proper search mechanisms put into place and envisioned better services to find the materials. He also presented a browsing interface done by Leslie Kadish for the Senate Map collection. 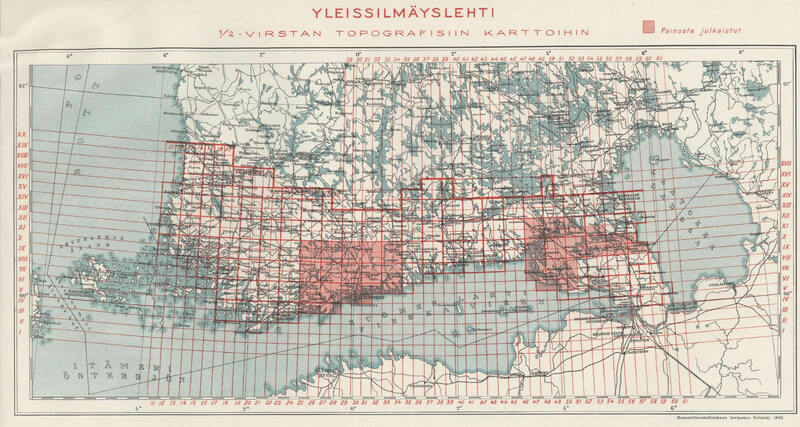 Heli Laaksonen from the National Land Survey described their digitization project with historical aerial images. They, too, are unreferenced, and therefore cannot be searched and found. Tomi Kauppinen from Aalto University showed SAPO, the Finnish spatiotemporal ontology, and the work that remains to be done to get full coverage of historical administrative borders. The National Linked Data Gazetteer of Historical Places project was announced a day earlier. Arend Oudman and Outi Hermans from the City of Helsinki showed how they have opened and processed maps and aerial images in the context of broader efforts by the City of Helsinki to work with open data. 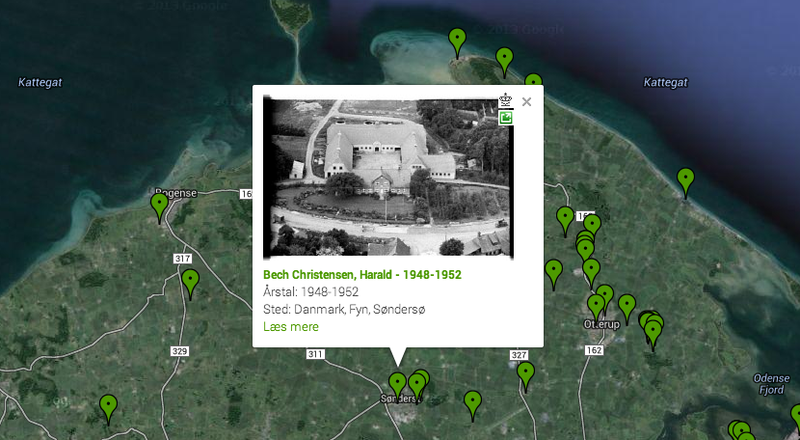 The image shows the Historical Aerial Images browser. Developing the tools to be easier to use while maintaining complexity. 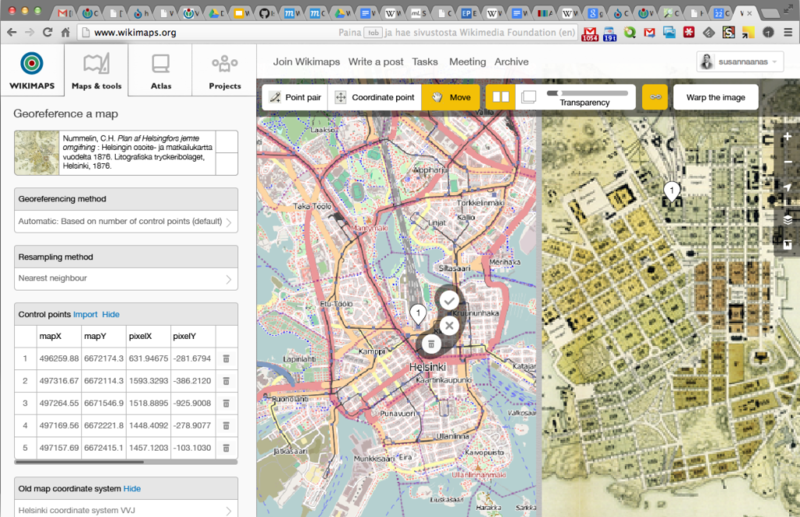 We are creating a toolset to communicate with both Wikimedia Commons and Open Historical Map. The key features will be search, warping and vectorizing, with a seamless user experience switching between the tasks. We are starting a structured work process for development. We found out that instead of a unique map covering all Nordic countries we will get interesting insight by looking into individual areas, especially cities. Focusing on places on a human scale will allow narrating with more materials, such as images. The work will be administered by chapters. If you are interested in participating, please be in contact with the Wikimedia chapter in your country. 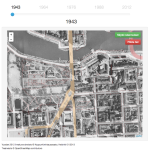 Together with the Aerial Images archives at the Land Survey of Finland and other participants we will select a suitable set of material for a case study. We will research different workflows and look at open tools to use with aerial images. It will make sense to support the Nordic map project with the aerial images. We will further collaboration with place name projects, such as Pelagios 3 and the National Linked Data Gazetteer of Historical Places (SeCo), and work actively in the creation of place attributes in Wikidata. The Swedish volunteer project gathers municipality border data for a practical demonstration. We may develop mechanisms for allowing volunteer participation in gathering and interpreting the place names together with the Finnish gazetteer service. Susanna and Tomi Kauppinen have been included in a workshop proposal by the GeoHumanities SIG for a workshop Place and Period in an Emerging Global Gazetteer: a proposed DH2014 workshop. A hackathon event is being planned for the Autumn. An idea about informal hacking events more regularly was presented. This development will include work to define map metadata for storing maps in Wikimedia, applying that to the map template and the GWToolset. MapWarper concept mock-up integrating with the OpenStreetMap iD editor experience. You will find the speakers, presentations and video coverage at http://lanyrd.com/2014/wikimaps/. There are follow-ups written by Jessica Parland-von Essen and Laura Sillanpää for AvoinGLAM. If you are interested in joining, contact your local Wikimedia for the local projects, or the Wikimaps project. Join one of the groups on this site or follow discussion in Facebook. Next hangouts are on Tuesday, and again in a month! 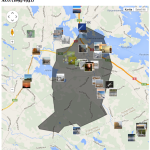 This entry was posted in Documentation, Uncategorized, Wikimaps Nordic on 4 March 2014 by Susanna Ånäs.